THings to do in Picton for backpackers. As your starting point for adventures in the turquoise waters of the Marlborough Sounds, plus a whole network of hiking and mountain biking tracks, we are surprised this town is not called Epicton! Picton has a prime position at the top of the South Island in the sunny Marlborough where winter’s chill never fully hits. Hike, bike, swim with dolphins, kayak, scuba dive, wine taste and go fishing any time of the year! 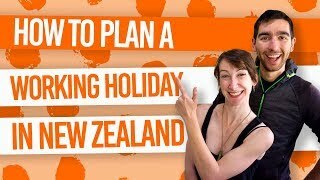 No wonder more and more backpackers are staying in Picton for a while, especially with the proximity of picking jobs, plus, a great selection of WWOOFing opportunities at Picton’s hostels and within the bays of the Marlborough Sounds. 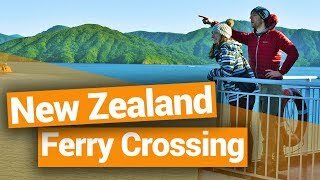 The town is also in one of the best transport links in New Zealand by having the ferry terminal to the North Island right in the Picton Harbour. After reading this guide, however, you’ll see that Picton is not a town to drive straight through when getting on/off the ferry! Check out all the great things to do in Picton in our Picton guide for backpackers below! Get some amazing Marlborough Sounds views from the Victoria Domain! Taste some of Marlborough’s most famous wine! Whether it’s a short walk to the beach or a hike to viewpoints overlooking the impressive Marlborough Sounds, you’re bound to find a hike to keep your legs and eyes busy in Picton. The Victoria Domain, accessed by crossing the Picton Marina bridge contains several hikes to various beaches, bays and all the way to the end of the peninsula known as The Snout. Behind Picton is Esson’s Valley, with tracks to viewpoints overlooking Picton Harbour and beyond! Because there are so many hikes in Picton, we’ve put together 12 Awesome Hikes in Picton. Check it out for the full descriptions of the hiking tracks in Picton. A staple of the Picton and even whole Marlborough region, the Queen Charlotte Track is a “great walk” that New Zealanders consider a Great Walk. Walk or bike in the lush green forests of the Marlborough Sounds while getting epic views of the turquoise waters between mountains that emerge from the sea. Although it is not a highly challenging walk, it is a lengthy one at 71km. 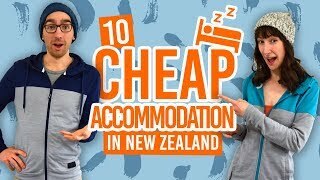 The multi-day hike has many accommodation providers along the way, where accommodation is usually at NZ$40-60 per night at the cheapest. Otherwise, pitch a tent to save some money. The easiest (and most fun) way to access the track is by boat. Many operators from Picton, such as Beachcomber Cruises and Cougar Line, can transport you to your desired start point on the Queen Charlotte Track. If doing the entire journey, most people start from Ship Cove and finish in Mistletoe Bay. The Marlborough Sounds has many different coves and landscapes to discover, as well as it wildlife hidden in the depths of its waters. Picton is the starting point of most adventures into the Marlborough Sounds. Many of the activity providers are based along the Picton Foreshore, including dolphin swimming, diving to the wreck of Mikhail Lermontov, freedom kayak hire or kayak tours, fishing tours, and even Mail Boat Cruises with Beachcomber and Cougar Line where you get to be involved in delivering mail in the most remote areas of the Sounds. If you fancy being a flashpacker for a night or two, take a water taxi to one of the Marlborough Sounds’ accommodation resorts. With the only access being by water or the Queen Charlotte Track, it doesn’t get any more remote than that. Look into WWOOFing opportunities and “flashpacker” priced accommodation (NZ$40-60 per night) along the Queen Charlotte Sound and Kenepuru Sound. Start the Waikawa Track by turning right as soon as you cross the bridge in the Picton Marina. Track signs will direct you between Picton town and the Victoria Domain with several entry/exit points along the way. It’s worth checking out the Waikawa Foreshore Reserve by turning right into Marina Drive, left at Beach Road, and then following Nautique Place. These areas of the Victoria Domain have a small network of mountain biking tracks. Get up to Harbour View via the sealed road at the end of Sussex Street, also found along the Picton to Waikawa Track (see above). Alternatively, there is a mountain track further along the Waikawa Track that provides access. 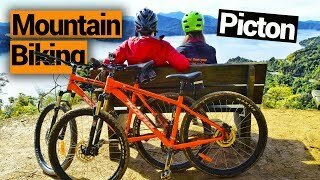 From Harbour View, cycle along the ridge past Snout Track Car Park to find another mountain bike track back down to the Waikawa Track. At 71km, the Queen Charlotte Track is the longest dual purpose track in New Zealand. However, to do the whole track by bike is only recommended to the physical fit, with a few challenging climbs and descents along the way. Alternatively, doing sections of the track by bike is a popular option with plenty of water taxi and bike hire operators in Picton to help you plan your trip. A brand new track links Picton and Havelock along the scenic coastal mountains looking out onto the Marlborough Sounds. The Link Pathway is not complete all the way to Havelock yet, but cycling from Picton to the viewpoint overlooking Whenuanui Bay (two viewing benches mark the spot) is a half-day bike ride well worth doing for the views and fun terrain that is ideal for novice mountain bike riders. The Link Pathway starts about 2-3km up Queen Charlotte Drive. Keep an eye out on the bushes to the left as you cycle up the road – the entrance is easy to miss. Immerse yourself in the history of Picton in the Picton Heritage and Whaling Museum, from Maori history dating to the 1500s to early European settler history. Find the museum on London Quay, right on the waterfront! For more whaling history but also the research in whales and protecting these marine mammals, check out the free-entry National Whale Centre, also on the waterfront along Wellington Street. On another cultural side, Picton is the gateway to the Marlborough region, also known as New Zealand’s most famous wine-making region. Take yourself on a self-drive tour of the nearby wineries found between Picton and Blenheim. 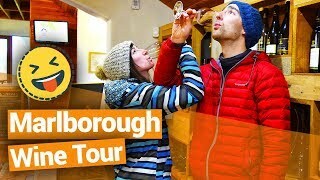 Alternatively, tours, such as Sounds Connection, leave from Picton daily to take you to a selection of wineries and cellar doors. (So you don’t have to worry about driving afterwards). Finally on the cultural scene of Picton town, check out the many eateries in town. The most popular places are the waterfront cafes with a prime view of the Picton Harbour. Have a look around the world’s oldest merchant ship, the Edwin Fox on Dunbar Wharf. See a little blue penguin at Eco World along Picton Foreshore. Relax in your hostel’s free spa pool – almost every hostel in town has one! Visit the bird sanctuary of Kaipupu Point. Take a day trip the nearby town of Havelock, New Zealand’s greenshell mussel capital and close to the Pelorus River, a Hobbit filming location. Where to stay in Picton?